‘Tis the season for online shopping, surfing the web, and connecting with friends and family on social media. In fact, Cyber Monday 2018 recorded record sales. The totals are still being calculated, but Mastercard, eBay, and Amazon all reported that their online sales were up. Actually, sales surged for some retailers with Amazon stating that this past Cyber Monday was “the single biggest shopping day” in its 24-year history. Busy consumers are taking advantage of ”everywhere connectivity” to do everything online from shopping to managing their households and keeping in touch with friends and family. And don’t forget teachers, like you and me, are consumers too. In fact, they often score higher than the average consumer with connecting online. Sixty-nine percent of educators (compared to 51% of the general population) stated “the Internet has changed the way I shop for products/services” in a recent report. Anyone marketing to educators should keep in mind that this online behavior represents an opportunity to reach teachers where they are spending more of their time, especially in November, December, and January with time off school for the holidays. And, teachers are not only shopping online for themselves, they’re also investigating products and solutions for their classrooms. Digital advertising has an important role to play for the very reason that teachers are doing their research and the numbers show: 44% of educators said online advertising prompted them to make a purchase in the last three months; 76% of teachers say when they need information the first place they look is the Internet. A digital advertising campaign over the holiday season can help you make an online impression with teachers. MDR can help put your message in front of your target audience with our digital advertising solutions that deliver 1 Million impressions. Web advertising is a high-level (i.e., billboard) strategy to reach a broader audience. Use it to elevate brand awareness and push traffic to your website. For best results, launch digital ads a few weeks prior to your email campaign to “warm” your audience. Social advertising should be considered as a tandem approach along with email marketing to the same group that you’re targeting. Create a unified campaign and call to action, such as a demo request or free sample download. Social ads and email should run concurrently. Leveraging digital advertising to keep your brand top of mind with educators is the right tactic for this time of year. Provide targeted messaging to your target audience on the websites they visit, the apps they use, and the social channels they connect on, whether they’re on a computer, smartphone, or tablet. 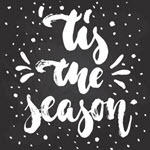 The holiday season has begun and teachers are online–connecting, researching, and shopping. It’s a wonderful time for your digital advertising campaign to start too! 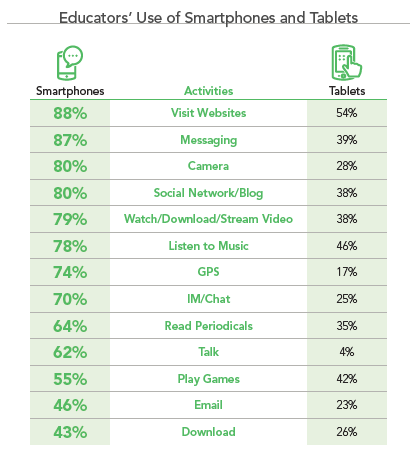 Previous Post: What are the top education apps in the classroom today?